The Charlie Daniels Band is one of the most well-known bands in the world and the reasons why are obvious when you listen to his music. Daniels has managed to slide effortlessly back and forth across genre lines, acquiring new fans from the White House to any house, around the world, for decades. You don't have to be a country music fan to appreciate the magnificent instrumentals on every song Daniels has ever recorded and although he is vocal about being from the south, he has been the voice of all Americans (a strong, unified America ) on more than one occasion. He has perfected the art of touching our hearts, and prodding our conscience, with his music. He is equally proficient at soliciting involuntary toe-tappin and unified head-bobbin whether he is playing the fiddle, the guitar or the mandolin. 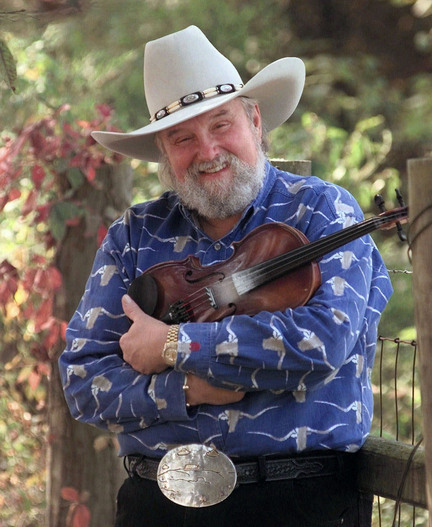 Even when he is politically vocal, or politically incorrect, no one takes offense because although a lot of artist’s talk the talk, Charlie Daniels not only talks the talk, and walks the walk, he invented the walk. He has spoke out on more than one occasion when others were afraid to speak. Before 9/11 he was proudly and loudly waving the flag, and boldly embracing it, with equal passion. As one of the most recognizable country music icons in the world, he can emit a "hell yeah" from just about anyone with only a fiddle. I've been told that born and bred Yankees have been known to rise to their feet and scream out "Y'all" during an impassioned rendition of "The South's Gonna Do It Again" (although, sorry Charlie, we know it ain't so). He has given us a musical legacy to be proud of and Essential Super Hits is the current culmination of his musical travels to date. Like his illustrious career, it is magnificent. There are far too many highlights on this album to mention them all. "Free Bird" is incredible and one of my favorites. "Long Haired Country Boy," which earned a CMA nomination for vocal event of the year when it was released, demonstrates that Daniels is as adept at pickin' a guitar as he is a fiddle. The vocal harmony provided by John Berry and Hal Ketchum is an extra bonus on this track and on the video. Keith Urban's guitar pickin' skills are showcased on "The South's Gonna Do It Again" and I defy anyone to attempt to sit still while listening to "Boogie Woogie Fiddle Country Blues" -- can't do it. Travis Tritt joins Daniels on a foot stomping rendition of "Southern Boy," a song he and Daniels co-wrote and it sounds like he may be singing with Daniels on "Trudy" but I'm not sure. Regardless, I love that song. Forthright patriotism has been the motivation behind many of Daniels' most well-known songs, "This Ain't No Rag, It's A Flag" and "In America" which, ironically, was written as a result of our desperate situation in the Middle East (Iran) more than two decades ago, are just two of them. If you have ever doubted the sincerity of Charlie Daniels, let me put your mind to rest. I am married to a career Army soldier. A few months ago, Charlie Daniels and his band performed for our community at a concert that lasted more than two hours. Admission was free. It was Charlie's way of saying thank you to our troops and their families. We were only one stop on a list of military bases that he was visiting as he continued to "walk that walk." This CD contains sixteen dynamic songs, Daniels' emotional rendition of our "Pledge of Allegiance," and a bonus DVD with five videos. It really is an essential addition to any quality CD collection.